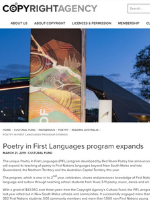 Kirli Saunders speaks with Wendy Harmer and Robbie Buck about Red Room Poetry's program, Poetry in First Languages. 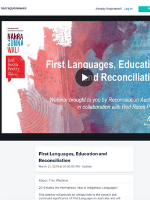 Guest webinar co-host, Gunai author, poet and educator, Kirli Saunders, shares practical insights and inspiration from Red Room Poetry’s Poetry in First Languages initiative. 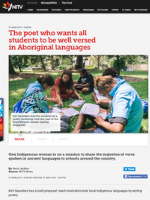 Kirli Saunders has a bold proposal: teach Australia’s kids local Indigenous languages by writing poetry. 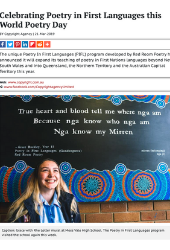 For several years now the Red Room Company has brought their Unlocked prison poetry program to Balund-a during NAIDOC week. In 2018 poet Lionel Fogarty and musician, Joe Geia, returned to facilitate the workshops. 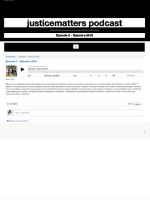 This episode of justicematters features the NAIDOC concert that formed the high point and culmination of the workshops. 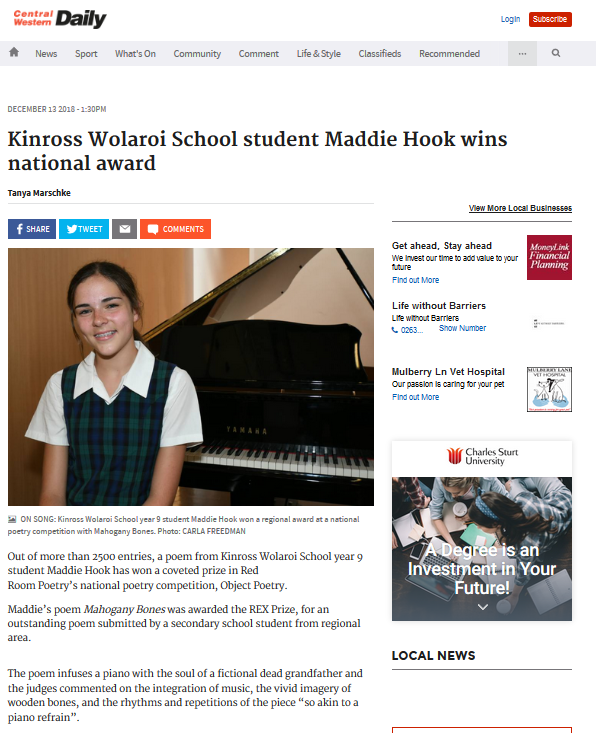 Out of more than 2500 entries, a poem from Kinross Wolaroi School year 9 student Maddie Hook has won a coveted prize in Red Room Poetry’s national poetry competition, Poetry Object.